The idea for this project occurred to me during the 2004-2005 Bernd and Hilla Becher retrospective at the Pompidou Centre. 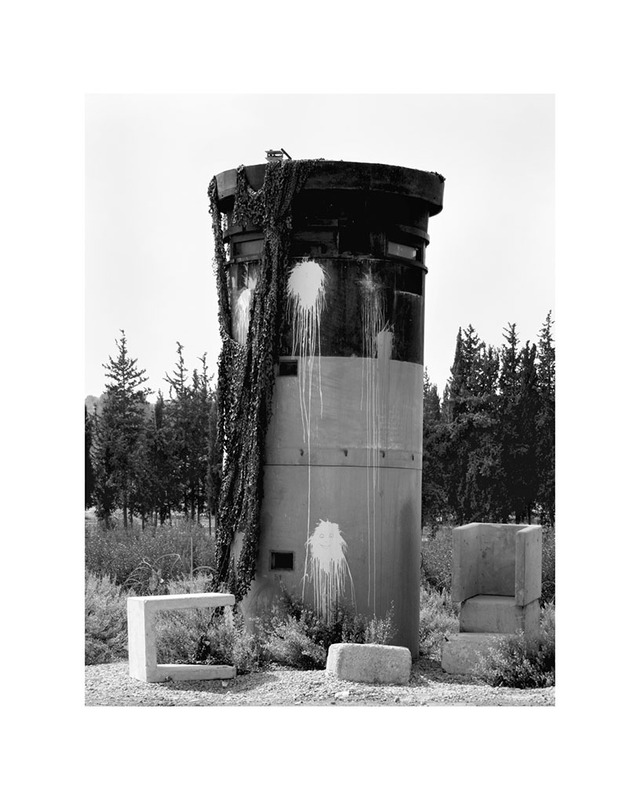 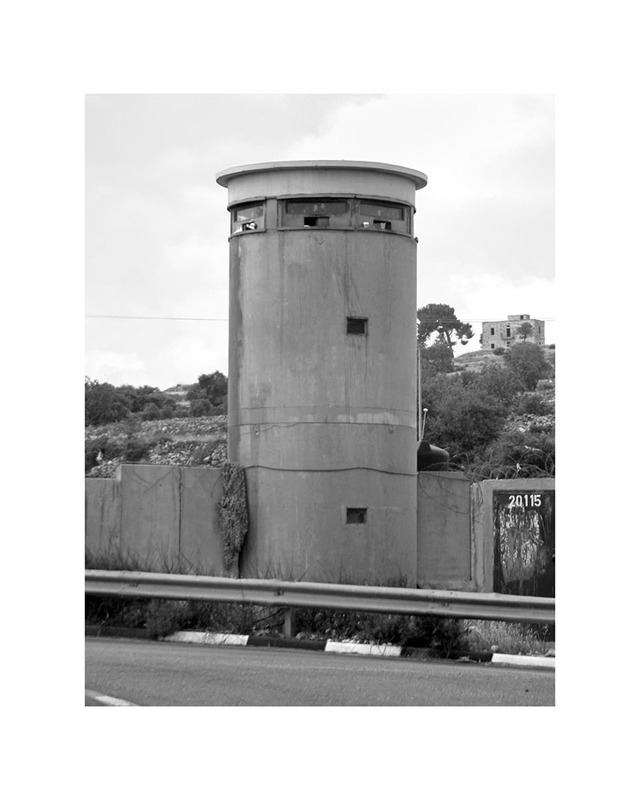 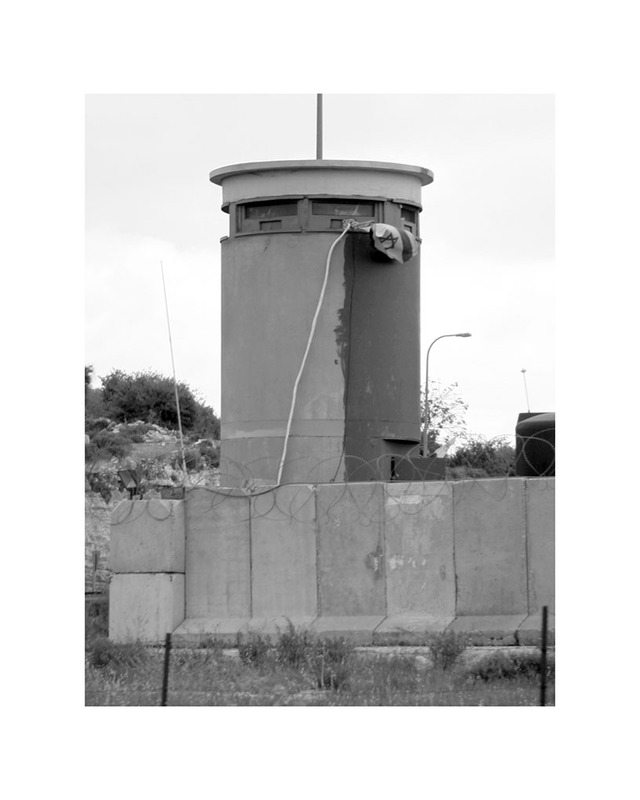 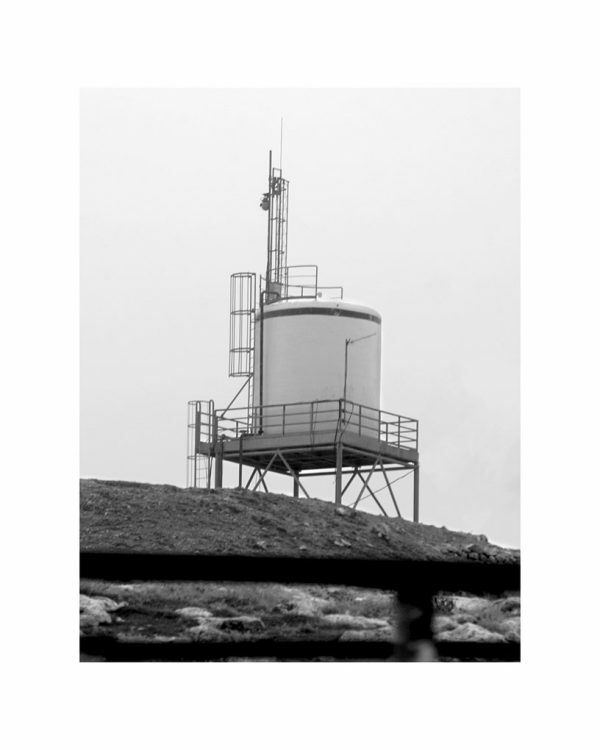 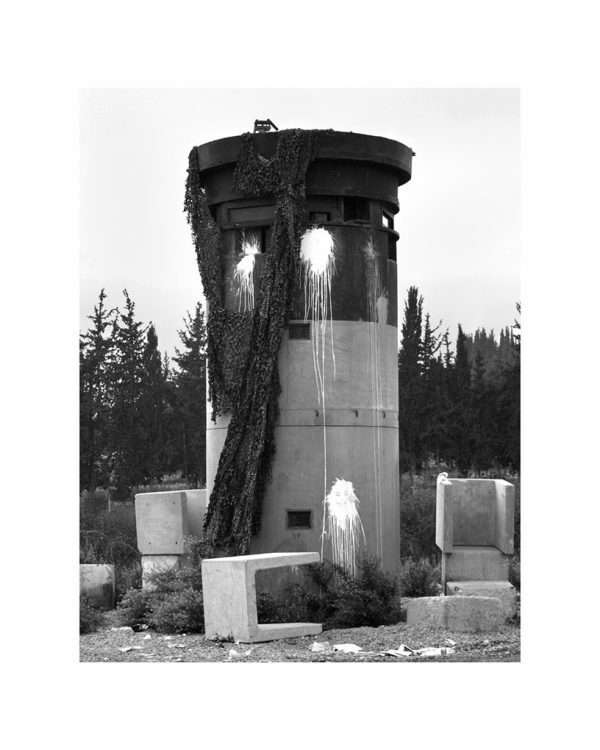 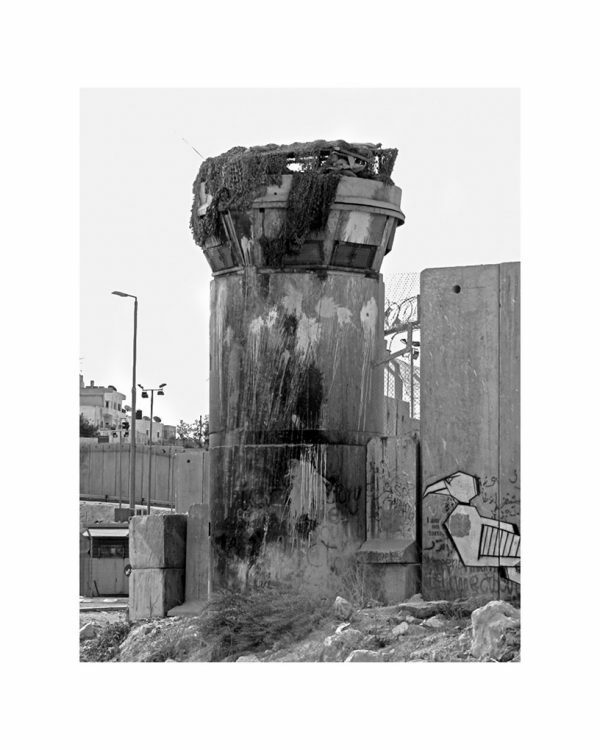 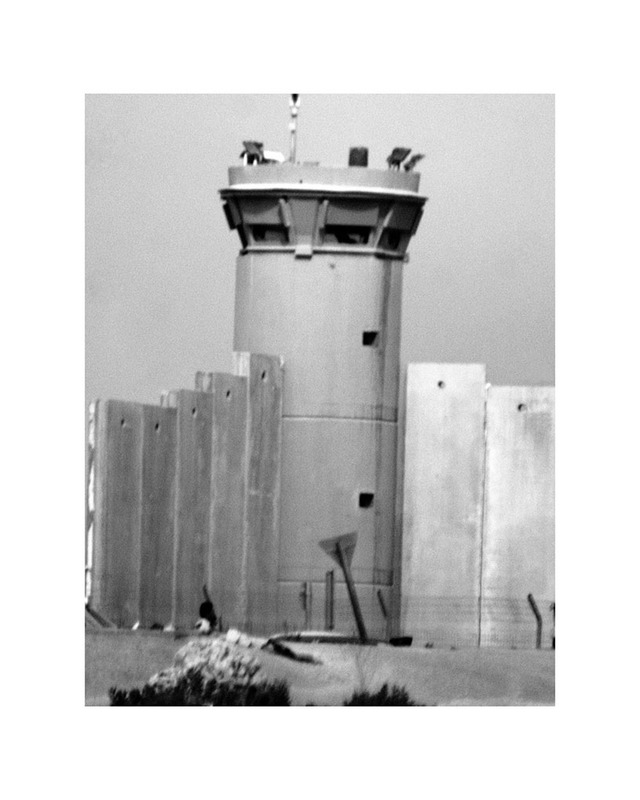 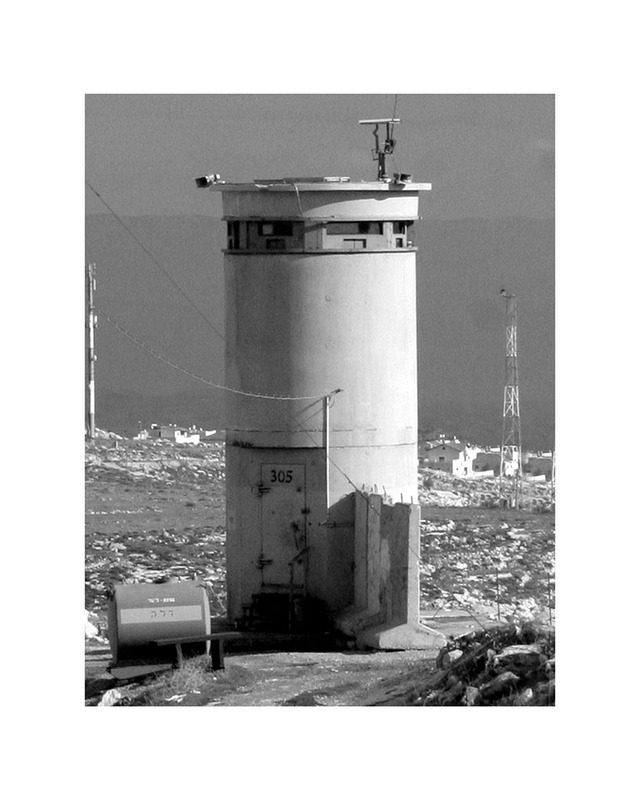 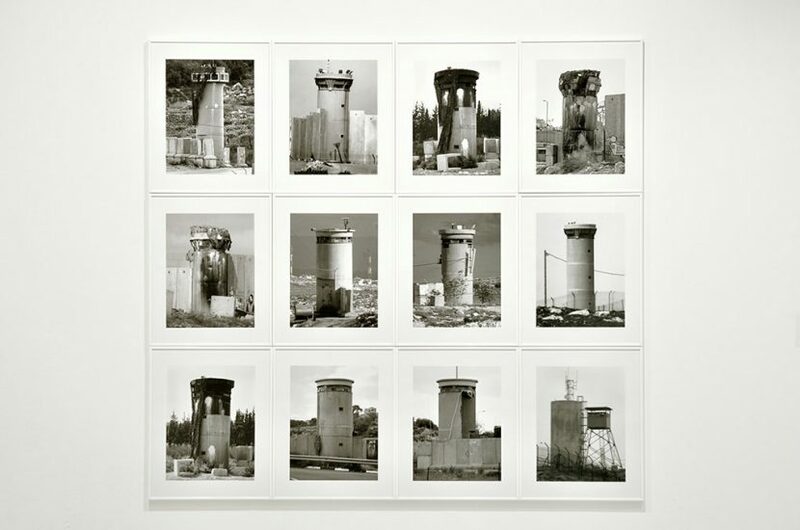 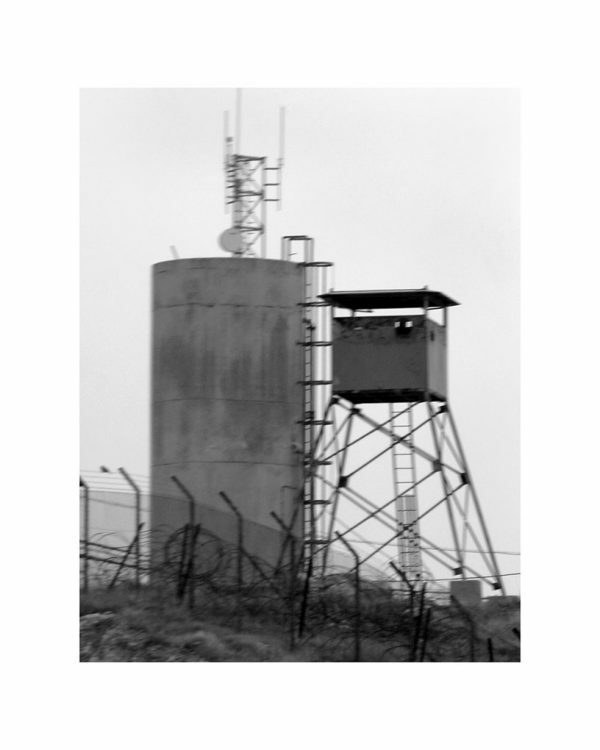 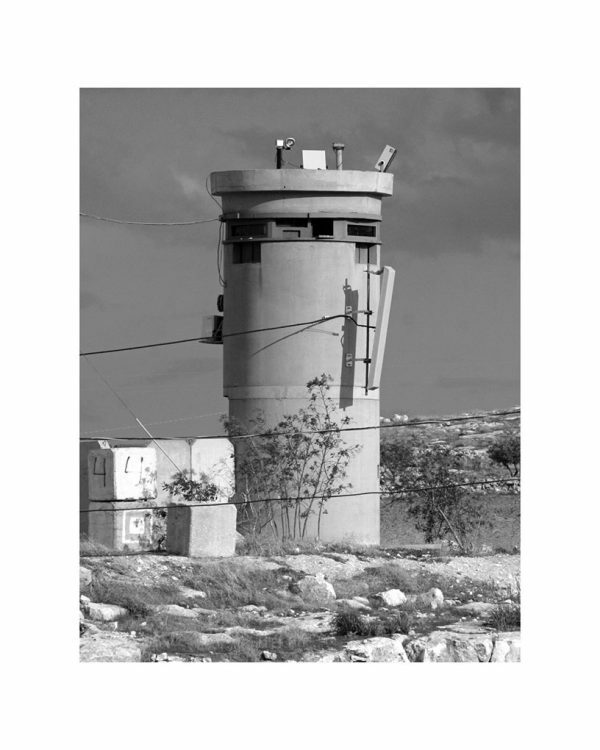 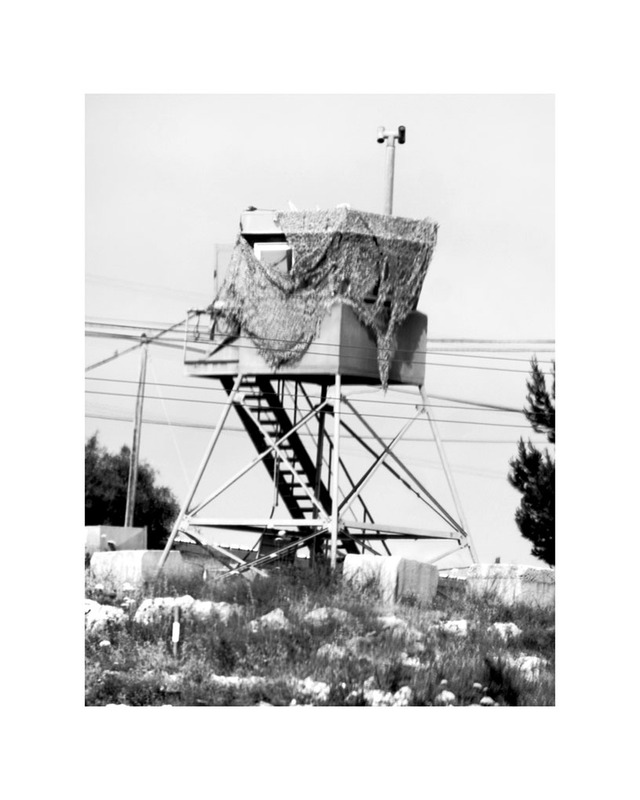 I was struck by the formal likeness between the water towers, especially, and the Israeli watchtowers that have invaded Palestinian territory. That is why I decided to arrange these military structures “in the manner of” the Bechers. 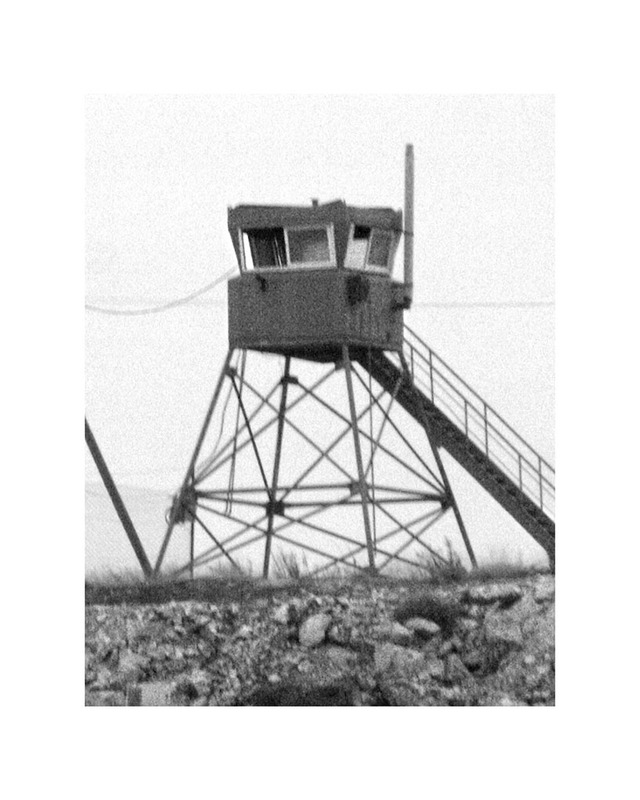 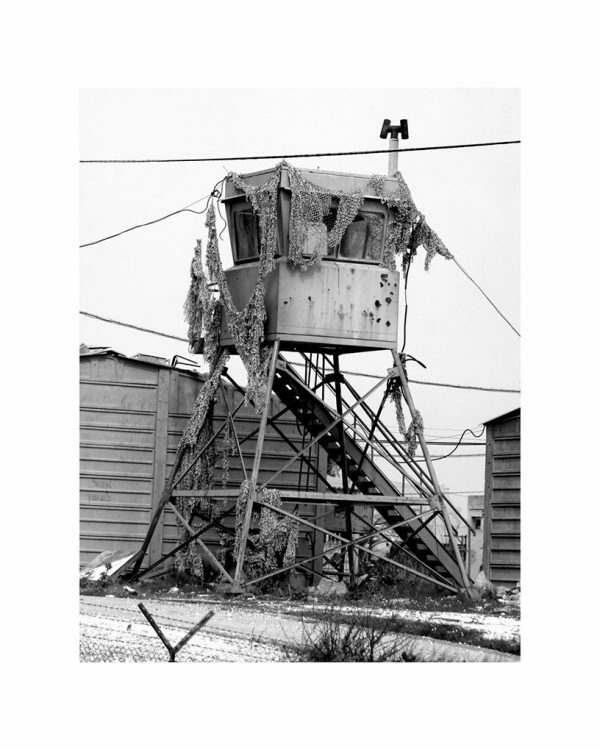 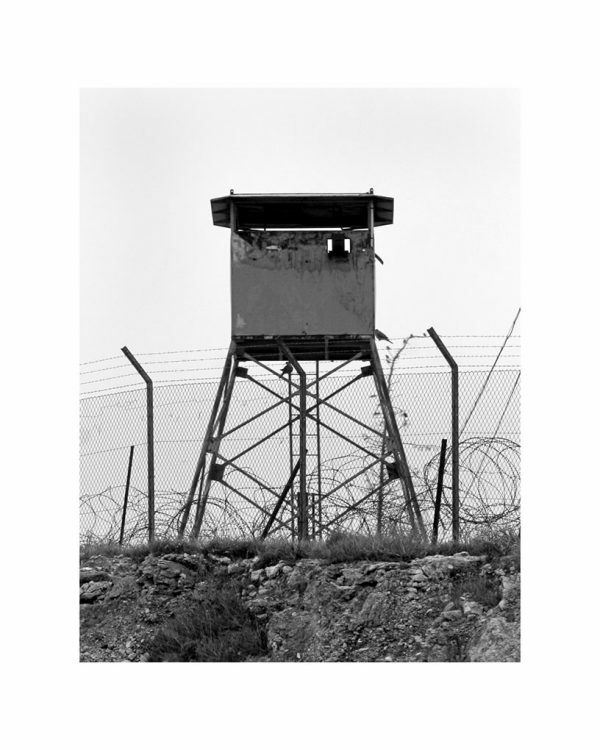 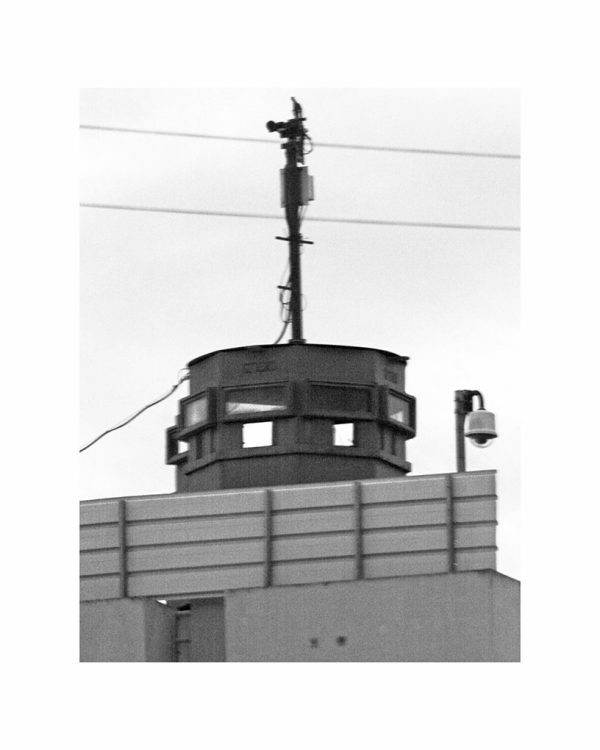 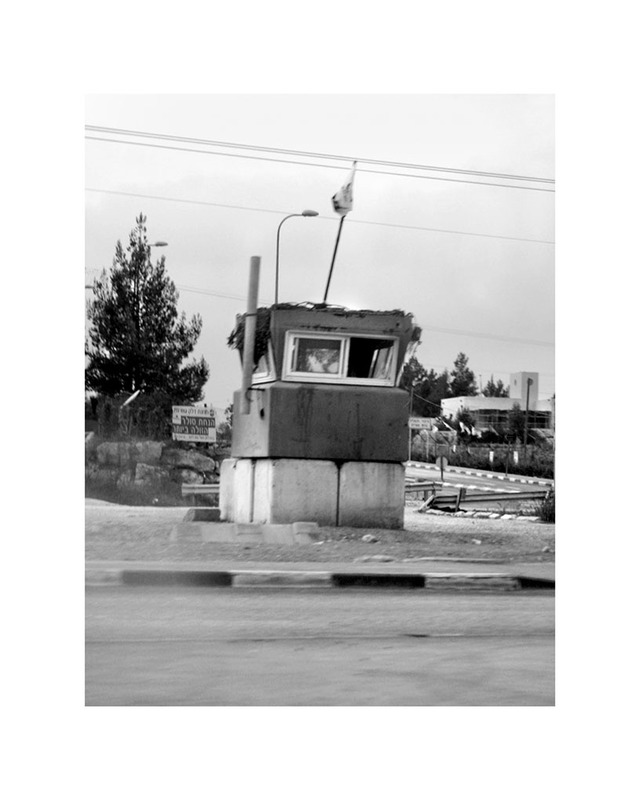 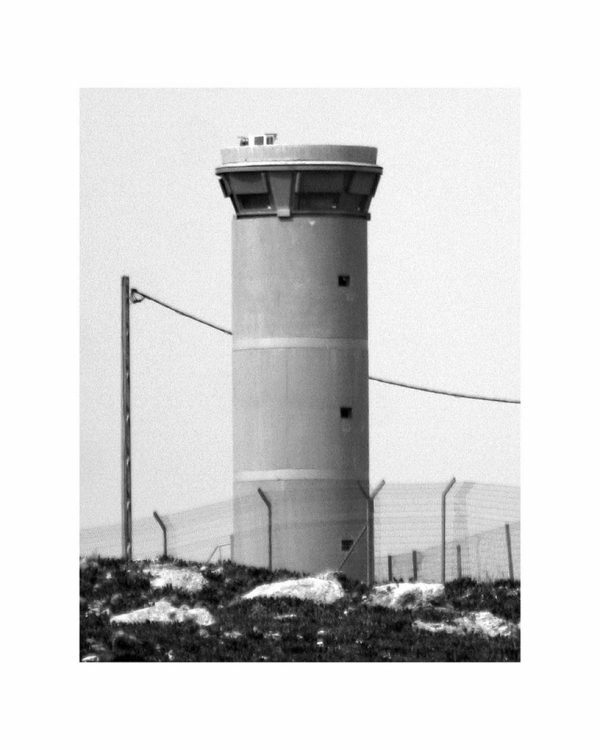 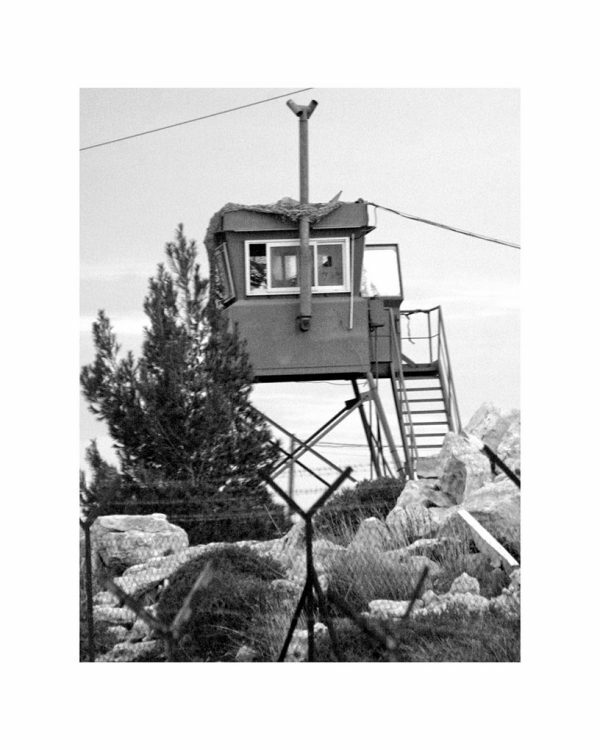 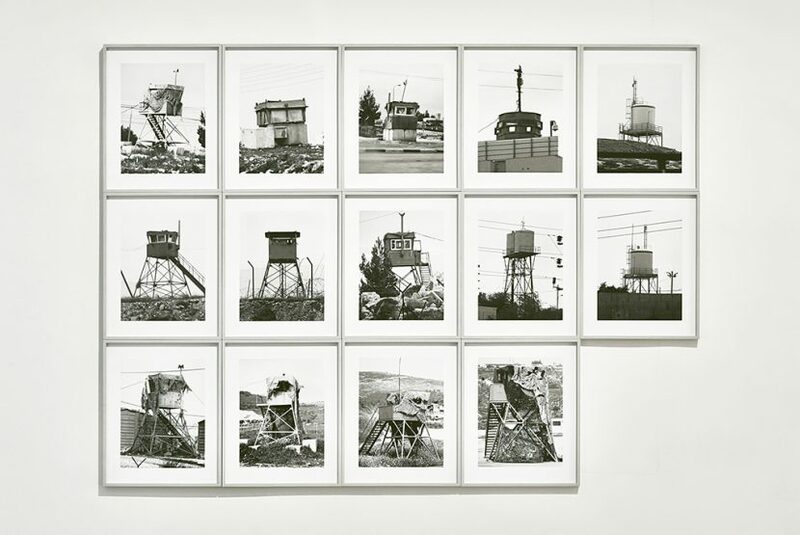 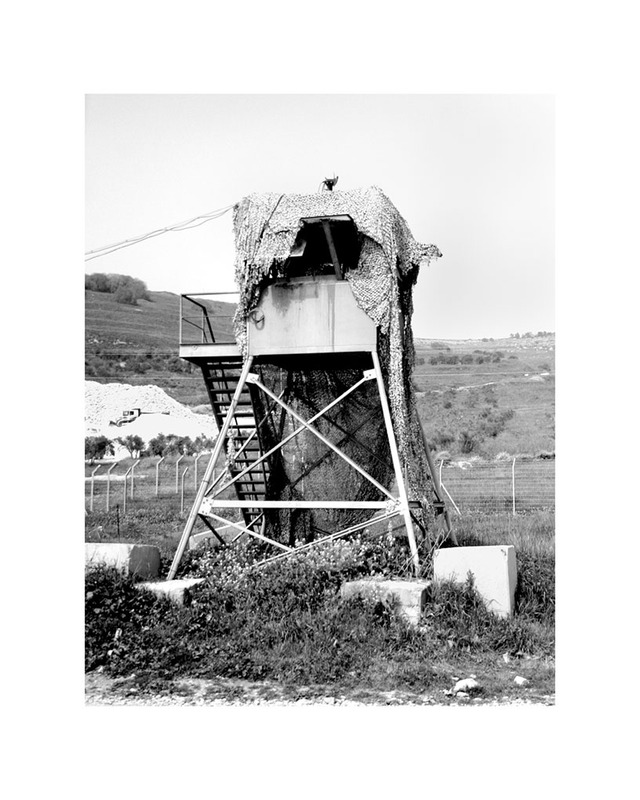 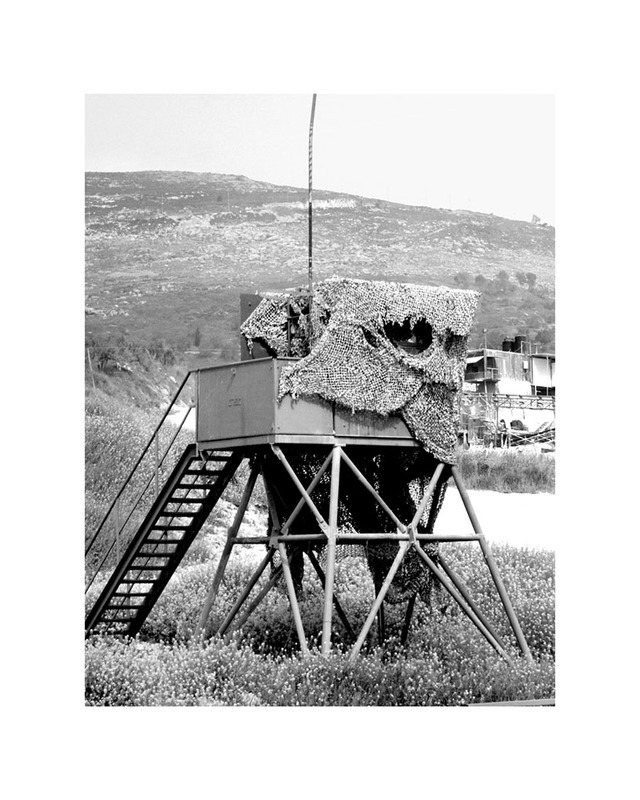 Like the German couple that started documenting Europe’s post-industrial heritage in the late 1950s, I tried to establish a typology of watchtowers on the West Bank. 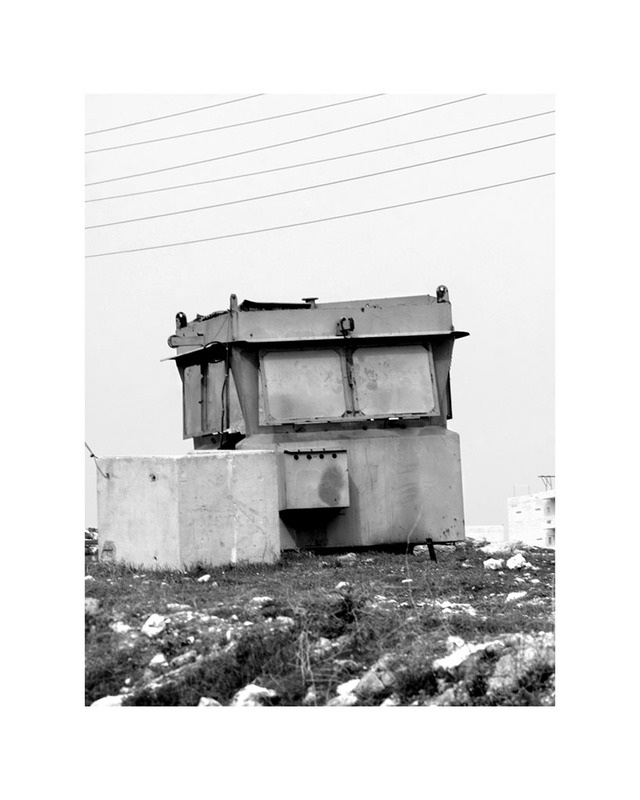 I wanted to create the illusion, a sort of “Trojan horse”, that viewers looking at these pictures think they know the subject matter and the photographers. 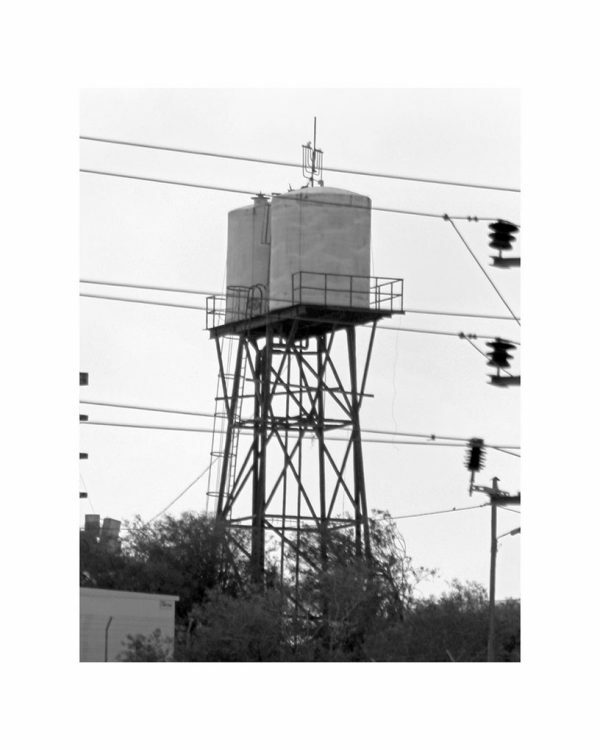 But upon closer inspection, they quickly realize that the images display neither the Bechers’ advanced technique nor, of course, water towers. 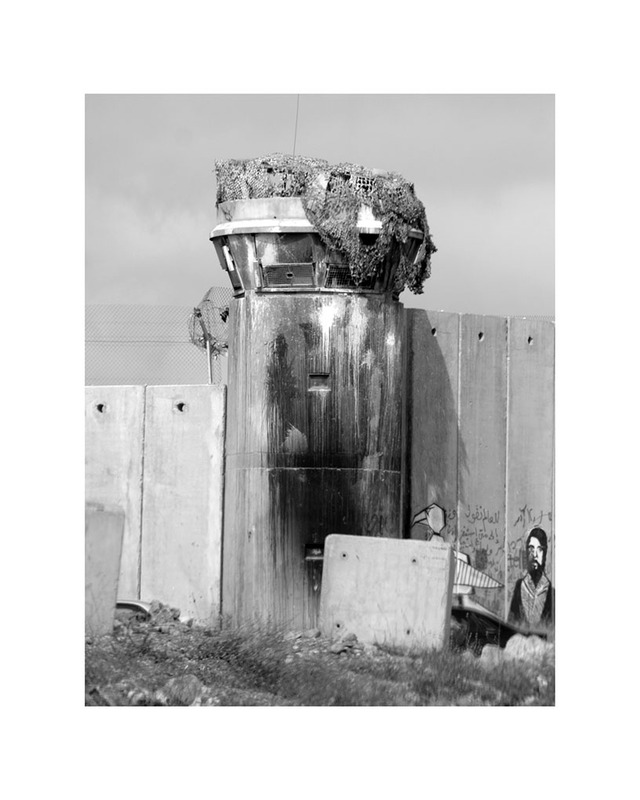 The particularly perilous conditions under which they were taken, by a delegated Palestinian photographer (born in Gaza, I am not allowed on the West Bank), himself unaccredited to carry out this “unofficial” mission, are visible: blurriness, clumsy framing, flawed light, etc. 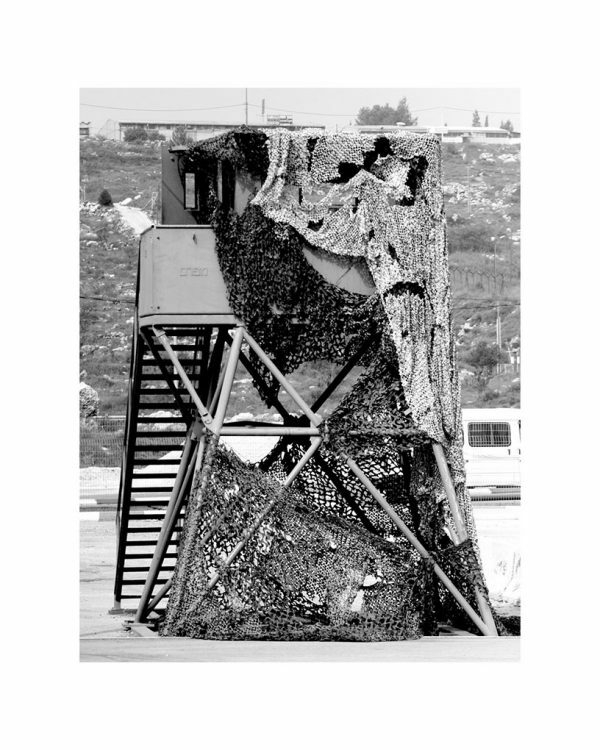 On the Left Bank, there is no way to set up the same kind of heavy gear that the Bechers used, to wait several days before the light is right and to take time to frame the shot. 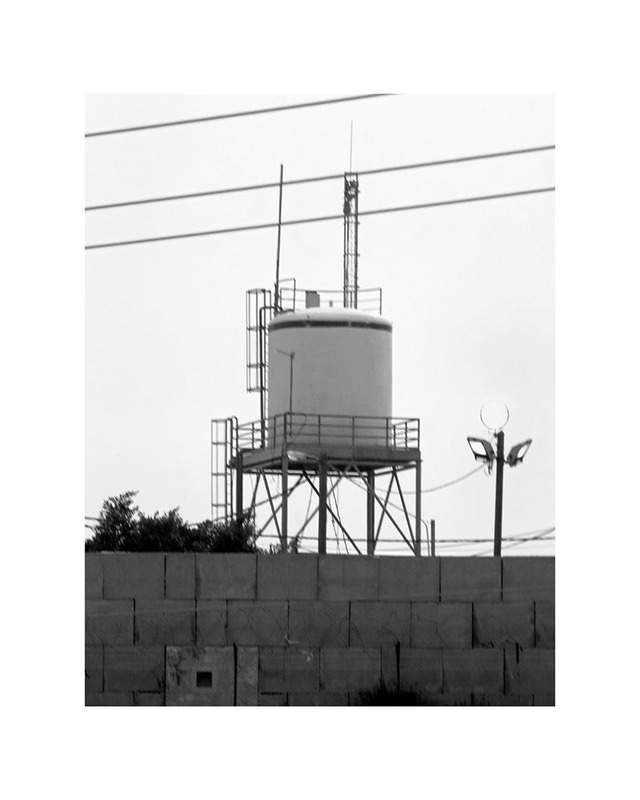 No aestheticisation is possible. There is no way to envisage these functional military structures as sculptures, much less as heritage. 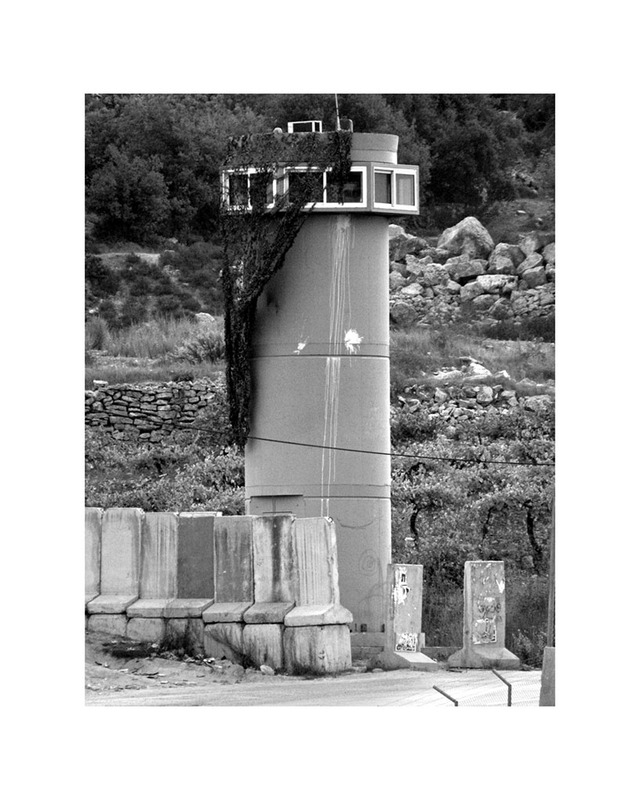 Taysir Batniji, text co-written with Sophie Jaulmes.